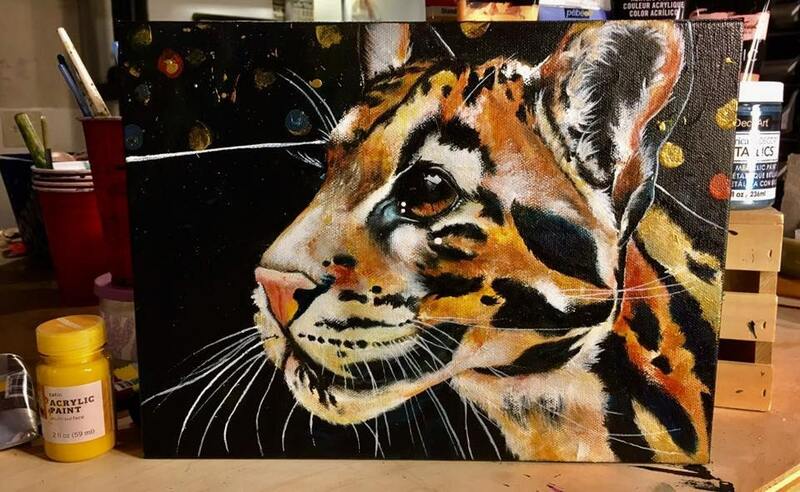 Original clouded leopard artwork, converted into a snazzy pendant of your choice. 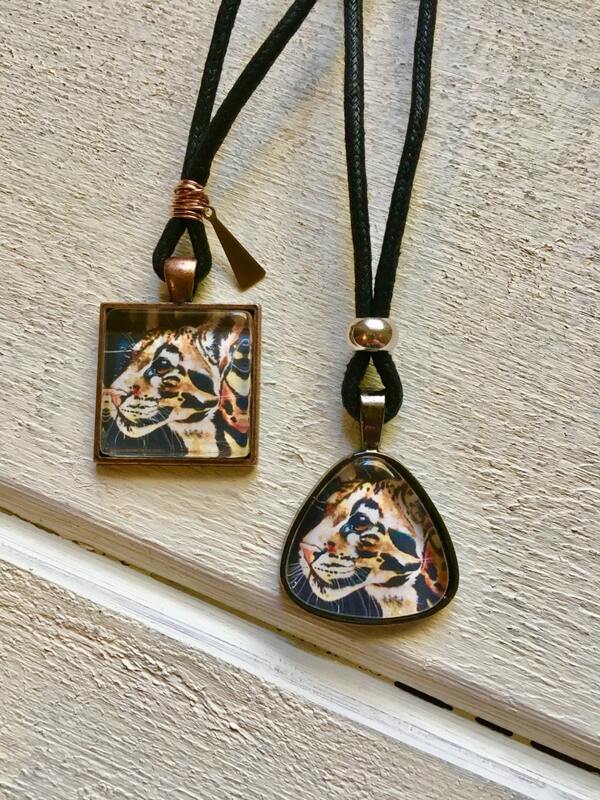 Pendant size is roughly 1.4 in x1.25 in and the necklace itself is cotton cording, aprox. 20" in length and finished on the ends with lobster claw clasps.